“HEAR YE, HEAR YE! Calling all ghosts and ghouls! 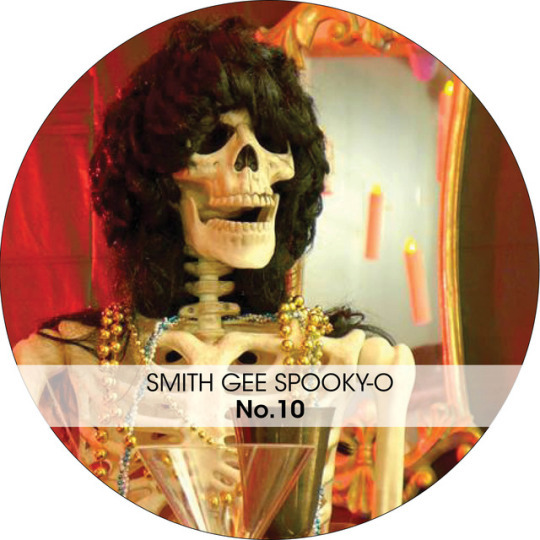 !” Each year Smith Gee Studio answers the call to participate in our building’s Halloween decorations competition. Our office mayyy have a little too much fun with this competition. And while we’ve won the competition in our category the past TWO years.. we like to push the limits! This year we’ve taken it over the top with a Skeleton Cocktail Party! If you visited our office anytime in the past two weeks we hope you had the courage to come inside. For those who didn’t get a chance to check out our lobby then check out the pictures below. Our skeletons invite you into a scene set for an Alfred Hitchcock film. With their heads directed toward the door, you’ll make no mistake that these skeletons have been waiting on you for decades.. Complete with dozens of floating candles, and “easy listening” music that’s just to die for you may question how dead your hosts really are! Not really.. but we sure did enjoy seeing our guests and building mates enjoy the scare! And the pun of the party goes to… The skeleton dog chewing on a bone – a result of chasing its own tail! So much so that we’ll fly to the forest moon of Endor to get the right background for our costume! But the real question remains.. who was Will for Halloween?